Bellagio Las Vegas announced today that it will remodel all 928 rooms and suites in the resort’s Spa Tower beginning August 19. Bellagio Las Vegas hotel has completed the remodel of all 2,568 rooms in its main tower offering guests a fresh, elegant collection of newly redesigned deluxe accommodations. 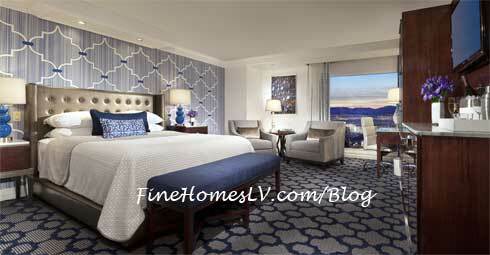 Bellagio Las Vegas hotel unveiled a fresh, elegant collection of newly redesigned rooms this week. Each of the three distinct color palettes was carefully created to further enhance the AAA Five Diamond guest experience at one of the world’s most iconic resorts.